Mount Sinai Hospital has a rich history of catering the underserved population in Chicago’s West Side since 1912. Having outgrown their existing single cardiac catheterization lab, the hospital needed to add a second angiographic suite to further expand their spectrum of services and deliver lifesaving interventions to their patients in an expeditious manner. Linden Group worked with Mount Sinai for five years to develop and refine a new state-of-the-art cardiac catheterization suite that would work in conjunction with their existing endovascular department. The new suite includes a new angiographic suite and control room, a seven bed patient holding area with nurse station and support services, and a remodeled elevator lobby, family waiting area, and reception. This cardiac catheterization lab has allowed Mount Sinai to expand the availability of several new life saving cardiovascular procedures to an increased number of patients in need. 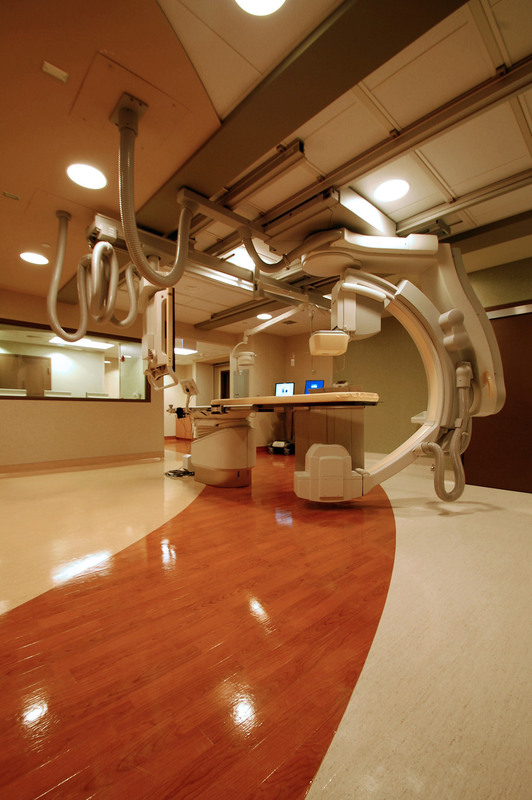 Other clients we've worked with in the world of Healthcare projects include: Glendale Medical Center.